Charlotte Brontë's 1852 novel Villette tells the story of Lucy Snowe as she travels from England to France to work at a school for girls. The psychologically penetrating novel is less well-known than Jane Eyre, but is frequently considered Charlotte Brontë's best work. Villette follows the story of Lucy Snowe, a young English girl with a tragic past. At the start of the story, Lucy is just fourteen years old and lives in the English countryside with her godmother. Lucy eventually leaves England for Villette and finds work at a boarding school for girls. She falls in love with Dr. John, a young and handsome English doctor who does not return her affections. Lucy is very hurt by this, but deeply values his friendship. Dr. John eventually marries an acquaintance of Lucy's. Lucy meets another man at the school named Monsieur Paul Emanuel. M. Paul is a very good teacher, but he is somewhat controlling and critical when it comes to Lucy. However, he does begin to show her kindness and expresses interest in both her mind and her heart. M. Paul arranges for Lucy to become the headmistress of her own school before setting sail to Guadalupe to do missionary work. The two agree to marry upon his return, but it is implied that he dies on the ship ride home before the nuptials can occur. Lucy Snowe: The protagonist and narrator of Villette. Lucy is a plain, hardworking Protestant English girl. She is quiet, reserved and somewhat lonely, yet she longs for independence and a passionate love affair. Mrs. Bretton: Lucy's godmother. Mrs. Bretton is a widow who is in good health and good spirits. She dotes on her only son, John Graham Bretton. Lucy stays in Mrs. Bretton's home at the start of the story before seeking work in another home. John Graham Bretton: A young physician and the son of Lucy's godmother. Also known as Dr. John, John Graham Bretton is a kindhearted man who lives in Villette. Lucy knew him in her youth and then falls in love with him ten years later when their paths cross once again. Dr. John instead gives his affections first to Ginevra Fanshawe and later to Polly Home, the latter of whom he eventually marries. Madame Beck: The mistress of a boarding school for girls. Madame Beck hires Lucy to teach English at the boarding school. She is rather intrusive. She snoops through Lucy's possessions and interferes in Lucy's romance with Monsieur Paul Emanuel. Monsieur Paul Emanuel: Madame Beck's cousin and Lucy's love interest. Monsieur Paul Emanuel teaches at the school where Lucy works. He falls in love with Lucy, and she eventually returns his affections. Ginevra Fanshawe: A student at Madame Beck's boarding school. Ginevra Fanshawe is a pretty but shallow girl. She is frequently cruel to Lucy and attracts the attention of Dr. John, who eventually realizes that she may not be worthy of his affections. Polly Home: Lucy's friend and Ginevra Fanshawe's cousin. Also known as Countess Paulina Mary de Bassompierre, Polly is a smart and beautiful girl who falls in love with and later marries John Graham Bretton. Unrequited Love: Lucy, the protagonist, loves and loses more than once during this story. She falls for the handsome Dr. John, who does not love her back. She later falls for Monsieur Paul Emanuel. Although he returns her love, the other characters conspire to keep them apart. At the end of the story, it is implied that Monsieur Paul dies and does not return to her. Independence: The theme of independence is present throughout the story. Lucy is quite passive in the beginning of the novel, but grows into a very independent woman, particularly for the era in which the story is set. She seeks a job and travels to Villette, despite the fact that she knows very little French. Lucy longs for independence, and when the man she loves leaves to do missionary work in Guadalupe, she lives independently and serves in the role of headmistress of her own day school. Resilience: Near the beginning of the novel, Lucy experiences a devastating family tragedy. Although the details of this tragedy are not specifically outlined for the reader, we do know that Lucy is left without a family, home or money. But Lucy is resilient. She gets a job and finds ways to care for herself. Lucy is somewhat isolated, but she is resilient enough to overcome her tragedy, find satisfaction in her work, and build relationships with other people. Villette is a Victorian novel, which means it was published during the Victorian era (1837-1901). The three Brontë sisters, Charlotte, Emily and Anne each published works during this time. Villette uses the biographical structure commonly seen in traditional Victorian literature, but deviates somewhat due to its autobiographical nature. Many of the events that happen to the protagonist of the story mirror the events in the author's life. Like Lucy, Charlotte Brontë experienced family tragedy when her mother died. Brontë also left home in pursuit of a teaching job, suffered from loneliness and experienced unrequited love with Constantin Heger, a married schoolmaster she met in Brussels at the age of 26. The ending of Villette is intentionally ambiguous; the reader is left to determine whether or not Monsieur Paul Emanuel makes it back to shore and returns to Lucy. However, in the original ending written by Brontë, it is made clear to the reader that Monsieur Paul Emanuel perishes in a shipwreck. 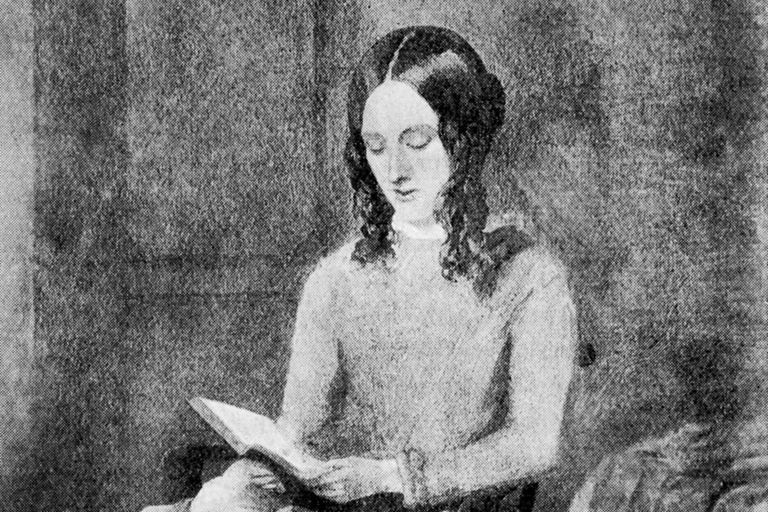 Brontë's father did not like the idea of the book ending on such a sad note, so Brontë altered the final pages to make the events more uncertain. Villette has earned its reputation as one of Charlotte Brontë's best works because of its beautiful writing. 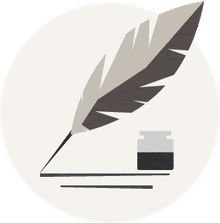 Many of the most familiar quotes from the novel showcase Brontë's unique and poetic style. Notable adaptations: Villette was adapted into a television miniseries in 1970 and into a radio serial in 1999 and 2009.